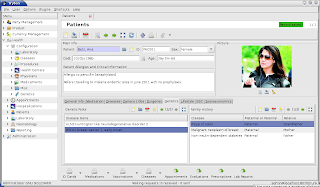 GNU Health 1.4.1 released ! This is a segment of the letter from Doctor Christoph Larsen, in April 2011, who was working in Rwanda and asked OpenERP for the upgrade scripts and OpenERP refused to give them to him. Dr. Larsen gave me his permission to publish it, so the community knows his point of view. When Dr.Larsen sent me the mail, I started the migration to GNU Health in the Tryton environment. And no, this is no FUD, this is the reality of was has become of OpenERP.